As employee benefits continue to evolve it’s important for employers to consider benefits offerings for the modern working parent. Whether incorporated as part of a strategic plan or merely providing the benefits as “value-adds” there is an opportunity for employers to remind employees of current programs within the benefits program offered and consider offering trendy benefits or perks for working parents. Below is a list of 9 innovative benefits to consider, tailored to the working parent, to aid employee attraction and retention. Depending on the scope of work, offering flexibility to working parents goes a long way and establishes a children-come-first approach. Allowing working parents to manage their work during a time of need can create a sense of loyalty and trust for working parents. Providing convenient services or resources can be a plus for working parents to get life necessities taken care of at the workplace. On-site amenities can vary from big-ticket items like childcare and fitness centers to delivery services, take-home dinners, onsite car washes or oil changes. These types of services help free up personal time so working parents can have a more fulfilling experience with their family. This benefit can be a considerable asset for employee retention and is offered in a variety of ways including different programs such as discounted child care, on-site or nearby child care services. These offerings can help working parents decrease stress levels, provide shorter commutes and give them the ability to spend more time with their children. Offering a flex and dependent care assistance program is a huge asset for working parents to help pay for a portion of healthcare or child care services on a pre-tax basis. Many employers already offer this benefit, but in many cases, it’s underutilized because of the lack of understanding. Providing resources to promote or introduce this benefit to employees will help working parents save money but also give them a better understanding of how the entire benefits package fits into their needs. Whether for one week, six weeks, twelve weeks or more, this offering can help working parents tremendously through this significant life event. Exhibiting support for the employee as they navigate the parenthood experience conveys that the work relationship is meant for the long-term. Employees will be grateful for the opportunity to spend time with their child and be more energized and ready to return to work. 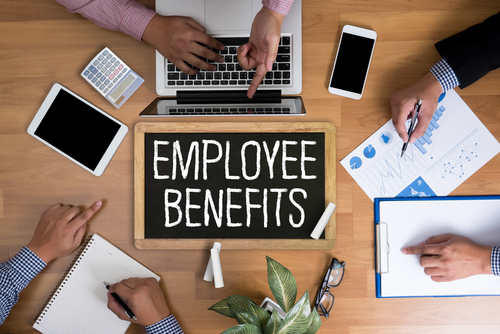 Reminding employees of their EAP offering or providing a stand-alone benefit can help employees with a wide range of resources, referrals and education. From mental health support for all stages of parenting to services and activities like college coaching, financial counseling, qualified childcare services and support to all family members. These offerings provide value by encouraging employees and working parents to have fun outside the office with their families. Giving discounted tickets to movies, amusement parks programs for children and coupons for family-friendly restaurants can help establish family outing traditions. Typically, this type of offering would require minimal investment for any organization, but the benefit will go a long way for employees and their children. Reminding employees of their current telemedicine options through the existing benefits program is essential to highlight a low-cost option for care and the convenience for working parents and their families. In addition to standardized Telemedicine options, some employers have gone the extra step to provide this low-cost service for free to employees to help encourage the usage and steer health plan expenses to less costly option. Often these benefits, offered by the carriers in your existing benefits program can help working parents find additional resources whether its discounted services such fitness centers, coaching, athletic apparel and fitness equipment, healthy eating and weight management, travel programs or included services such as EAP, legal advice, will prep, financial counseling programs. Many employees overlook these perks included in their insurance offerings. Promoting these offerings with employees can help get them more engaged in their benefits and develop more of a consumerist mindset.